Narrow doorways never seem like anything more than an inconvenience until you start using a walker, wheelchair, or scooter. Adding an offset door hinge ensures that you can easily move through all of the doorways in your home without getting caught on the side of the door. If you’re aging in place and have started to use a mobility device such as a wheelchair, don’t wait to purchase offset door hinges. With professional help, they can be installed quickly and give you the space you need. Make sure your home is as comfortable as possible as you age in place. Stanley Hardware’s hinges are sturdy, thick, strong, and will be great for heavy duty doors. Allow room for wheelchairs, walkers, etc. Pricey if you’re looking to fit multiple doors. Heavy doors aren’t usually easy to push in the first place, and using a mobility device makes it that much harder. With the Stanley Hardware Swing Clear Hinge, they can handle heavy-weight doors that need to be opened further for you to get through. 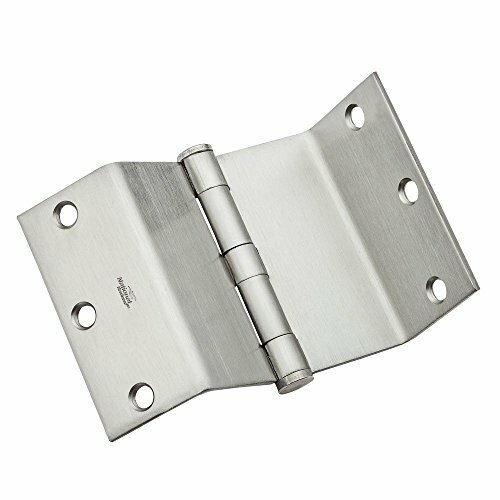 Constructed from steel, this hinge is designed to last and help you age in place without worry. Available in both brass and satin nickel, the options allow you to match you or your loved one’s home’s original furnishing. Best for square edge doors, this hinge is made to let you open your door completely clear of your doorway when opened at 90 degrees. While we believe you can trust this hinge to last long and hold your doors steady, it is also equipped with a Lifespan Limited Lifetime Warranty to ensure you have full confidence in it. Additionally, these hinges come with reversible pins and tips. National Hardware has developed one of the best options for swing clear hinges. You can be sure they will open your doorways wide enough for any mobility device you use. Open doorways wide enough for scooters, wheelchairs, walkers, etc. The National Hardware Swing Clear Hinge is designed to open your doorway completely clear when the door is opened to at least 90 degrees. 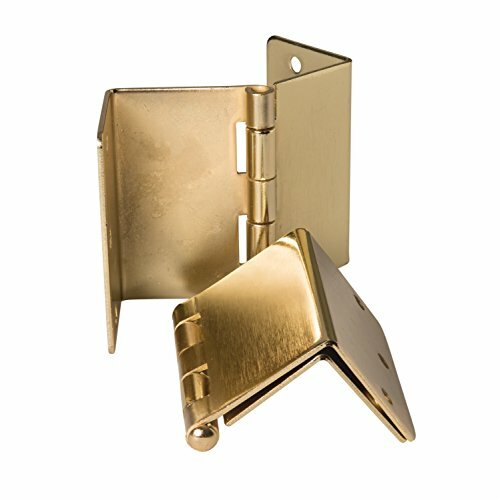 Additionally, this particular hinge is ideal for any door that does not meet barrier-free codes. Rather than engaging in some serious home remodeling and opening your doorway wider with a larger door, these hinges offer a simpler step to make sure your doorway offers the space you need to move through. A swing-clear hinge is the best option if you’re looking for the most space possible. True to its name, when installed these hinges will ensure any door swings clear of the door way, giving you some much needed space for your wheelchair, walker, or rollator. The design of this offset hinge lets you swing the door completely outside of the jamb, and the versatile color options are something we absolutely love as a bonus. The Stone Harbor Hardware 3.5 inch Swing Clear Hinges are great because they allow you to set up your door to swing completely outside of the jamb, maximizing your opening space. This gives you barrier-free access and extends the width of your doorway significantly. This precisely measured hinge will move your door an extra 3.5 inches away from the hinge, removing much of the guesswork that can come with measuring your doorways for the best amount of space. As long as you know the width of the wheelchair, scooter, walker or other device that you use, you should be able to determine if the extra 3.5 inches will be sufficient. While a lot of hinges are designed for one side of the door, this specific hinge can be switched to either the left or right-hand side. Simply flip the hinge pin according to the side you need it to be on. Although you can use the screws from your existing hinges to install offset hinges, some people prefer all new hardware. That’s why this hinge comes with its own set of matching screws. No more mismatched hardware or combining the old with the new. An extra two inches of space can make a huge difference, and this offset hinge will do just that for you. The HealthSmart Expandable Door Hinges are excellent options that open your doorway up an extra two inches. Their decorative brass finish can also add an attractive look to your home, rather than deterring from it. 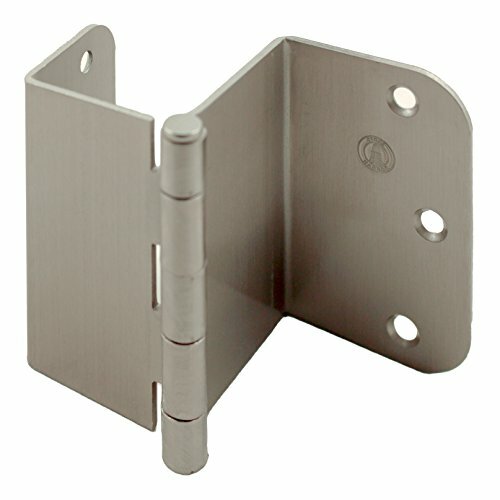 The hinge is very easy to install, so there is no need to spend extra money on an expert. The holes line up with the existing holes from your original hinges, and you can even use the same screws. If you know you only need an extra two inches for your door to swing away from its hinge, this is a great option. With two door hinges included per package, there’s no need to purchase extra inventory or spend more money. They pose an effective solution to widen doorways, making it much easier for mobility devices to get through. Essentially, everyday hinges do not let you utilize the entirety of the space a doorway has to offer. Offset hinges work by restoring the missing space to you. 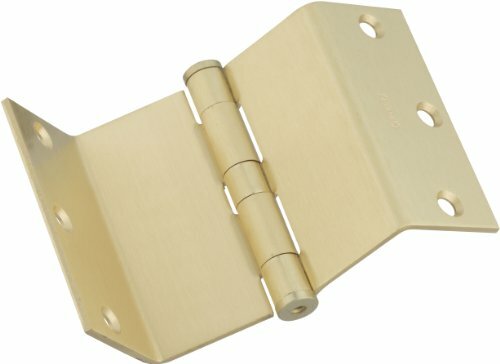 Offset hinges are uniquely designed door hinges that are made to expand doorways. The way these specialized hinges are made allows you to open your doors farther out of the way than you could with normal hinges, thus giving you more space to get through. When your door hangs on normal hinges, the width of the door takes away from the full width of the doorway. Essentially, everyday hinges do not let you utilize the entirety of the space a doorway has to offer. Offset hinges work by restoring the missing space to you. Basically, this hardware is successful by relocating the hinges’ pivot points. Standard hinges have their pivot point right where the door meets the frame. Offset hinges extend that pivot point further away from the hinge, which in turn lets you open the door more. These hinges are highly convenient because they prevent you from doing some major home renovations. Rather than cutting out a larger doorframe and replacing your door with a bigger one, you get to keep the same door and frame, and the only thing you have to change is the hinge. Whether you are a caregiver or a do-it-yourselfer, this section will be helpful to you to know how to install your offset hinges. Before you go ahead and take your door off the wall, double check how many hinges it currently has and make sure you have ordered or are planning on ordering the right amount. Nothing stops a project in its tracks like the lack of necessary equipment. Once you have determined that factor, installing offset hinges is fairly simple. The new offset hinges will use the same screws and holes as your original hinges, so there is no need for prep or drilling. Your first step is to remove the existing hinges from both the door and the door jam. Be sure to keep all the screws in a safe place, because you’re going to need them later. Next, you’re going to attach the offset hinge to the door with the countersunk holes facing towards you. To attach to the door, use the same screws that you took out of the original hinges. Do this as many times as hinges you’re using. Once your offset hinges are attached to the door, it’s time to attach the other side of the hinge to the door jam. Again, you’ll be using the same screws as from the original hinges. Screw this side of the hinges into the existing holes in the door jam. As a pro tip, it may be easier to perform this last step if you pull the hinges open first and then screw them in. This gives you a little more space to work with. It is hard to imagine how much extra space a mobility device could really need, but once you have one, you may wish you knew ahead of time. Luckily, offset hinges offer a very simple solution to move about your home just as easily as you did before you needed a mobility device. Once you know the exact measurement of your mobility device and understand the amount of added space you need in your doorways, it’s easier to find the best hinge for the space needed. The hinges listed above are some of the best on the market. Easy to install and incredibly effective, any one of those choices can make your mobility much easier.